The decision to play in MLB is literally a decision to abandon one’s country. Granma‘s story noted that the Gourriel brothers abandoned their hotel “in frank attitude of handing themselves over to the merchants of hired, professional baseball.” Londoño, however, makes the official line sound significantly more hostile in his translation, saying the brothers were criticized for “surrendering to mercenaries” of for-profit professional baseball. Second, the claim Cuba has a “culture of fear and obedience” is clearly ideologically driven. Londoño doesn’t provide any examples to substantiate this allegation. It is taken for granted this is how Communist governments behave. Violence has never been a tool of population control by the Cuban Revolution. And it is not clear who allegedly paid a “high price.” It would be impossible to name even a single person who paid the ultimate price of his life. 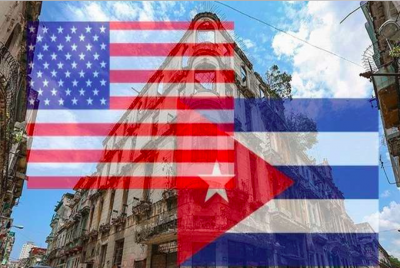 But the assumption of American benevolence towards Cuba is belied by the historical record, which shows American officials wanted to create “disenchantment and disaffection” among the “majority of Cubans” who supported the Revolution.